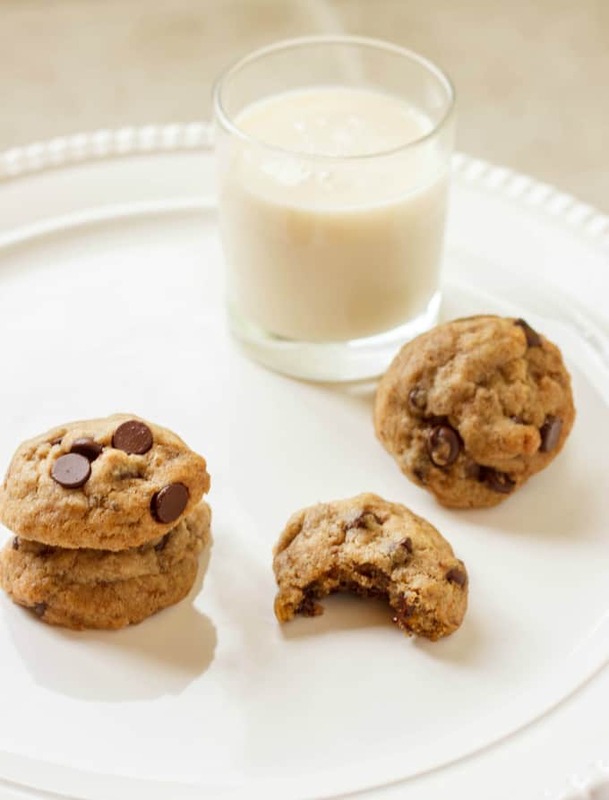 Chocolate chip cookies… nom nom nom! 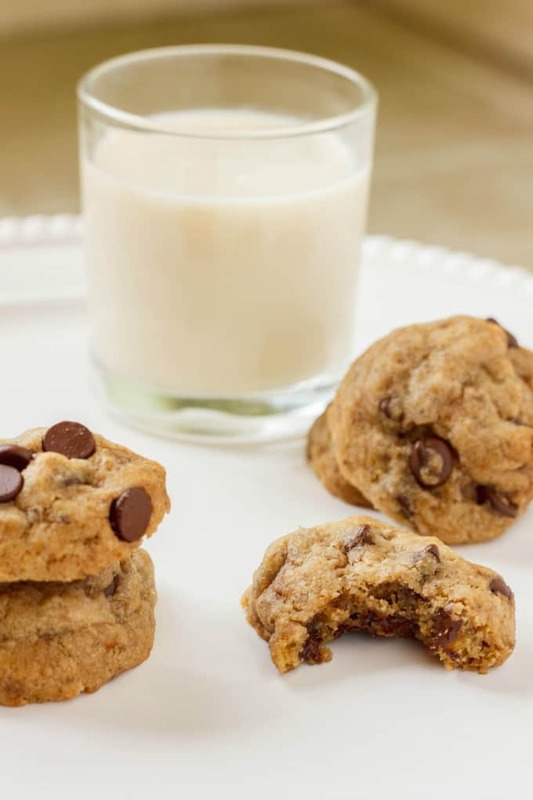 Welcome to day 2 of chocolate chip cookie week here at The Cookie Writer. When coming up with this theme, I knew I wanted to include everyone, whether you are vegan or gluten-free, or just plain don’t like sweets. Hopefully by the end of the week you will have enjoyed at least one of thee recipes. Today I present: vegan chocolate chip cookies! These were very easy to make and I decided to use coconut oil which resulted in a melt-in-your-mouth texture. Plus, I had the opportunity to work with flax eggs. It is amazing how this “egg” works. Combining ground flaxseed with water and allowing it to sit creates this thick, gelatinous mixture all the while remaining totally animal-free. I have read that you should buy your flaxeed whole and then ground it down when needed to ensure the freshest of quality. Also, when it comes to water temperature, it seems like people are all over the place. I read cool water is better but I have not tested different water temperatures. If you have vegan butter on hand, feel free to sub that in over the coconut oil, but the coconut oil worked perfectly here. I refrained from pressing down on my cookie dough balls before baking because I was afraid the coconut oil would cause the cookies to spread. 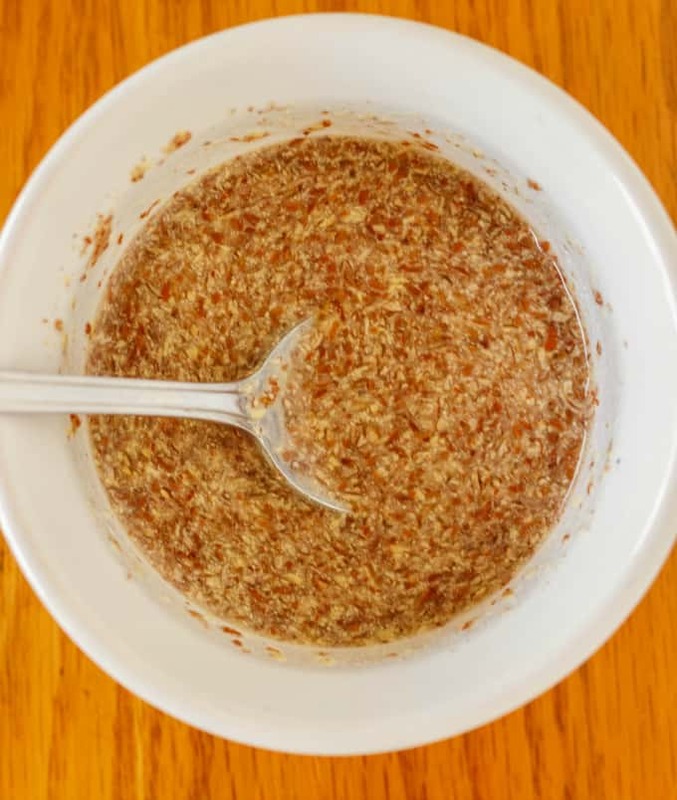 Start off by making your flax egg: mix 1 tbsp. ground flaxseed with 3 tbsp. water. Stir and allow to sit for about 10 minutes. Give another stir and see if it has "gelled up." Add the coconut oil and sugars to the bowl of your stand mixer. Beat for about 5 minutes. Add the the flax egg and beat until combined. Sift together the flours, baking soda, salt, cinnamon, and nutmeg. Slowly add to your ingredients in the stand mixer and mix until the ingredients are just combined. Stir in chocolate chips. Measure out 1 tbsp. sized portions of dough and roll into balls. Bake for 10-12 minutes and allow to cool for about 5 minutes on the baking sheet. Finish cooling on wire racks. Super pleased with this recipe! It didn’t offer that crispy crunch when you bit into it, but I know a lot of people who like soft chocolate chip cookies. I am going to see about pushing the cookie dough down next time so the cookie becomes thinner and maybe resulting in a crispy outer layer. But for a vegan cookie, I was impressed! Wouldn’t even guess there was no butter or egg involved. This only marks the beginning of chocolate chip cookie week. If you think vegan chocolate chip cookies are strange, I have an interesting next couple of days ahead for you. Stayed tuned! I am totally loving the idea of cookie week! 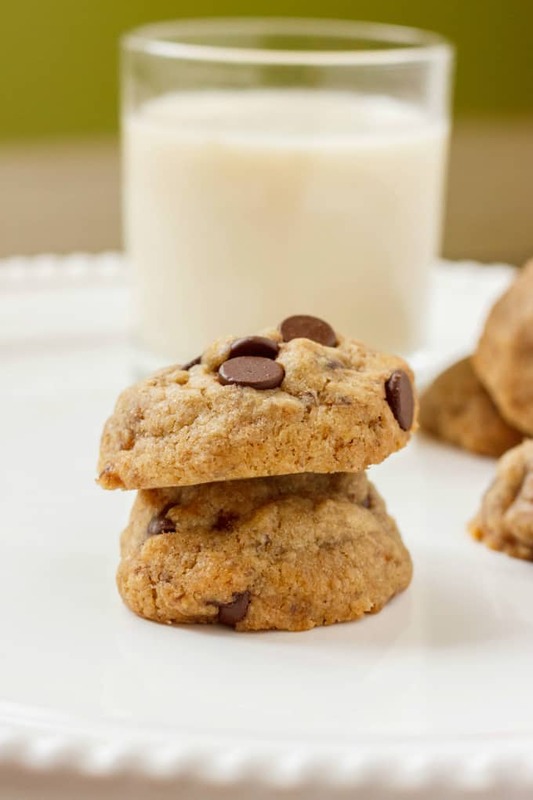 I definitely need to make this recipe.. you can never go wrong with a good chocolate chip cookie. I love how the recipe is vegan too. Pinned!